Let the games begin!! We kick off with a pool party this afternoon and the festivities continue throughout the weekend. Whether you are hosting or party hopping you’ll have some level of party prep responsibility. 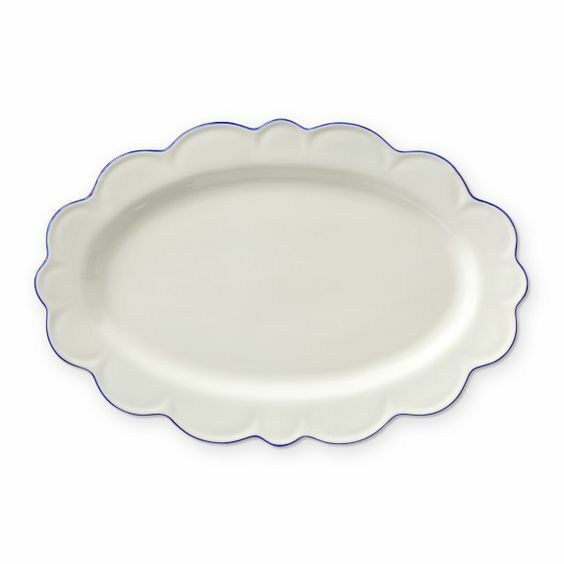 This post is dedicated to the indoor and outdoor party decor and hostess gifts that will enhance your party experience. 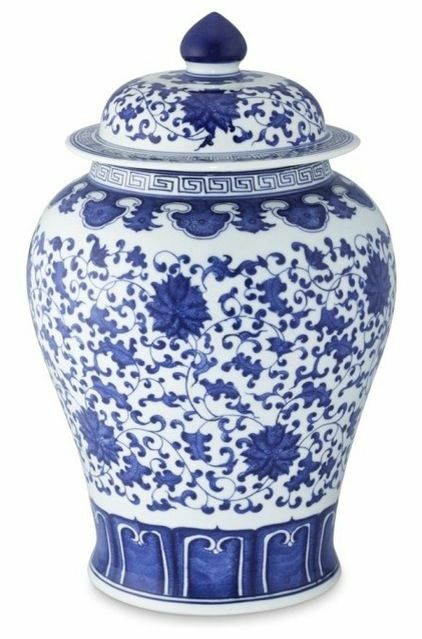 My house is filled with blue and white decor, making it easy to nail a patriotic color scheme by adding red with fresh flowers, flags etc. 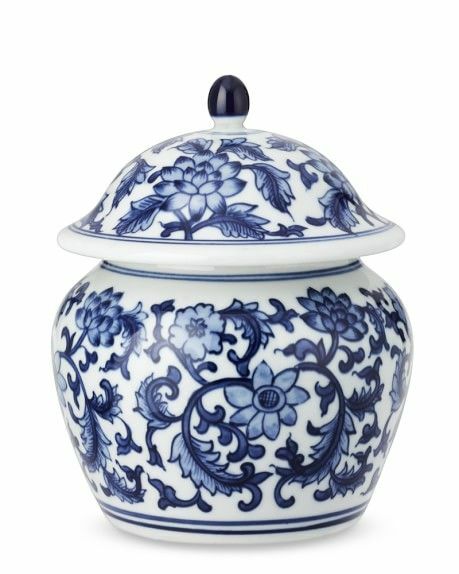 Blue and white ginger jars are among my favorite accent items for any space, they can be found in every room of my house. 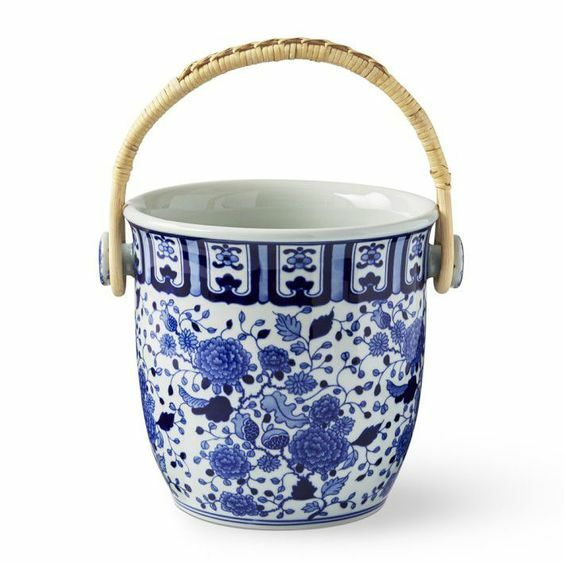 This, this and this from Aerin for William Sonoma would be perfect used as vases for a patriotic party. 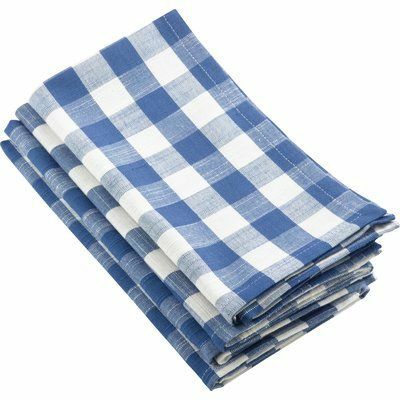 I would use these blue and white gingham napkins from Wayfair year round, with these red and white gingham drink napkins and you have your perfectly patriotic napkin pair. 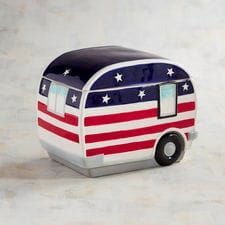 How cute is this vintage Airstream cookie jar from Pier 1. Back to Aerin for WS, I would literally buy everything in the collection if given the chance but have been eyeing the blue scalloped edge pieces for a while now. 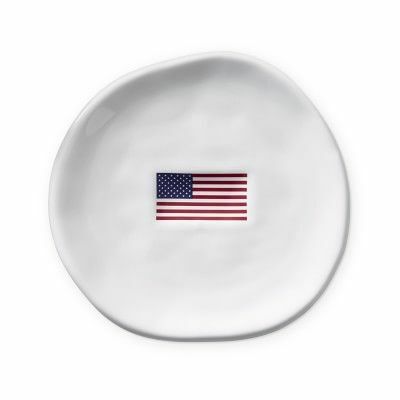 I love these subtle American Flag plates, too. 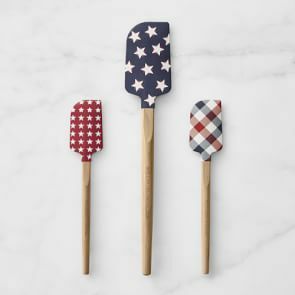 Finally, you could use these spatulas yourself or bring them to a party as an adorable hostess gift. If you are planning to host outside these retro drink coolers are perfection, it comes in red, white and blue. I am thinking they would make an awesome Father’s Day gift, filled with the Mr.’s favorite beverages. Always game for a photo prop, these are adorable. Red, white and blue paper straws are a great touch for any patriotic party. Amazon has an abundant selection of Flags, in all sizes. This flag bunting from etsy on a yard fence or hanging of a deck would be adorable. No outdoor party is complete without yard games, these red, white and blue Bocce balls from CB@ fit the bill. We had a balloon garland for my daughter’s First Holy Communion celebration this month, while they look awesome when finished, be prepared for a least an hour of labor and frustration putting it together, snag this patriotic version on Etsy. 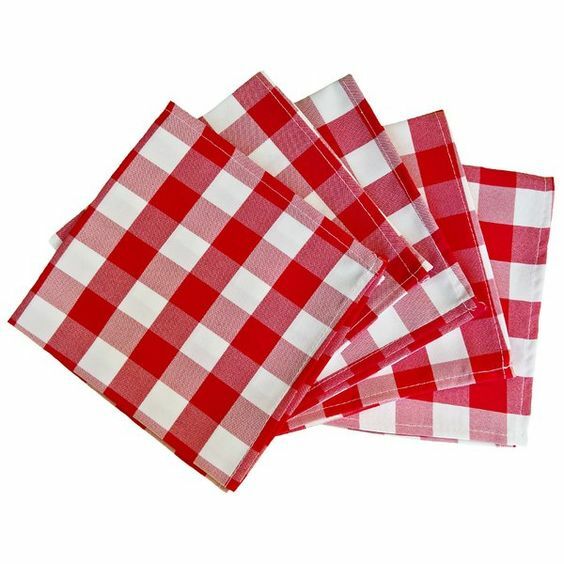 Stock your bar with these “Party in the USA” napkins, cover your tables with this or this and supply guest with these cute star plates and cups. You could say hostess gifts are my “jam”. I love finding thoughtful gifts that are selected with the host in mind or specifically for the occasion, it always feels like a fun challenge for me. This book was written by a family friend of ours from our beach club on Long Island. I’ve given up on the idea that I might ever be able to make a burger as delicious as his, but his book has given me the opportunity to try (another great Father’s Day gift option). This candle, diffuser set from the Aerin for WS collection would make a lovely gift and is on sale right now. We are suckers for big square ice cubes in our house, they make for such a cool looking cocktail. I love the idea of pairing this ice cube tray with this chic wine and bottle opener set both from Anthro, perhaps add a bottle of red for the perfect “red, white and blue” hostess gift. Giving a living plant as a hostess gift can bring beauty to a person’s home for years, this gorgeous Hydrangea in a scalloped stripe pot from Terrain would make any hostess thrilled. Finally for the parties that go into the later hours, how fun are these star sparklers for a festive hostess gift.